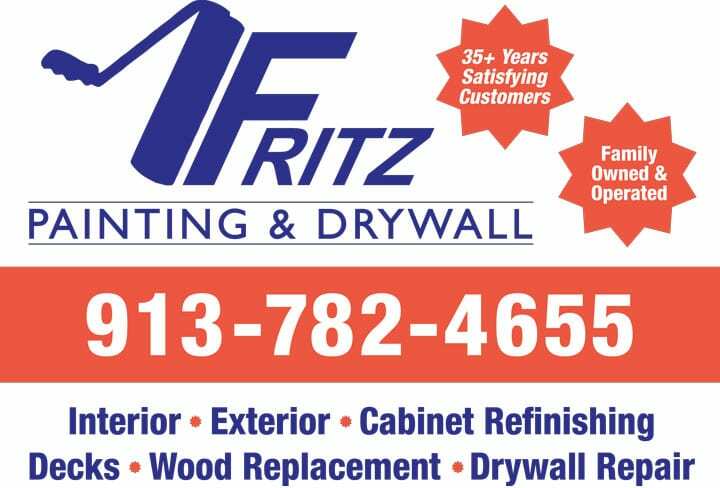 Welcome To Fritz Painting & Drywall LLC Online! To provide customers with the highest quality paint and drywall services at fair and market competitive prices. To ensure the continuation of Fritz Painting for a third generation through repeat and referral business achieved by customer satisfaction in all areas of the project, including workmanship, scheduling, communication, and cleanliness. To provide customers with the highest quality paint and drywall services at fair and market-competitive prices. To ensure the continuation of Fritz Painting for a third generation through repeat and referral business achieved by customer satisfaction in all areas of the project, including workmanship, scheduling, communication, and cleanliness. History – 35+ Years Of Satisfying Customers In The Kansas City Metro Area! Fritz Painting is a family owned and operated business servicing the Kansas City metro area since 1980. Established to perform both residential and commercial painting, Fritz Painting and Drywall LLC began under the name of F & L Painting. As the company grew and more family members joined the staff, it became fitting to change the name of the business to Fritz Painting. Early years were spent largely on commercial sites, where work was performed on metal buildings, grocery stores, hotels, hospitals, and various retail businesses. Building on the motto “no job is too large or too small for consideration,” the business evolved to include drywall repair and wood rot replacement services for residential new construction and repaint projects as well as commercial projects such as metal buildings, grocery stores, hotels, hospitals, apartments, schools and various retail businesses. This expansion of services and customers led to another update of our official company name to Fritz Painting and Drywall LLC. A secondary focus is the purchasing and renovation of properties for rental and resale. Fritz Painting has had the opportunity to work with several prominent builders in the metro area. These experiences have solidified Fritz Painting’s reputation for skilled application of lacquer, enamel, the various types of paint and stains for interior and exterior paint projects and for providing clients with cost-efficient methods for meeting project requirements.